I haven’t exhibited work in a Pittsburgh group show in a while. This will be my first time showing at James Gallery in the West End. 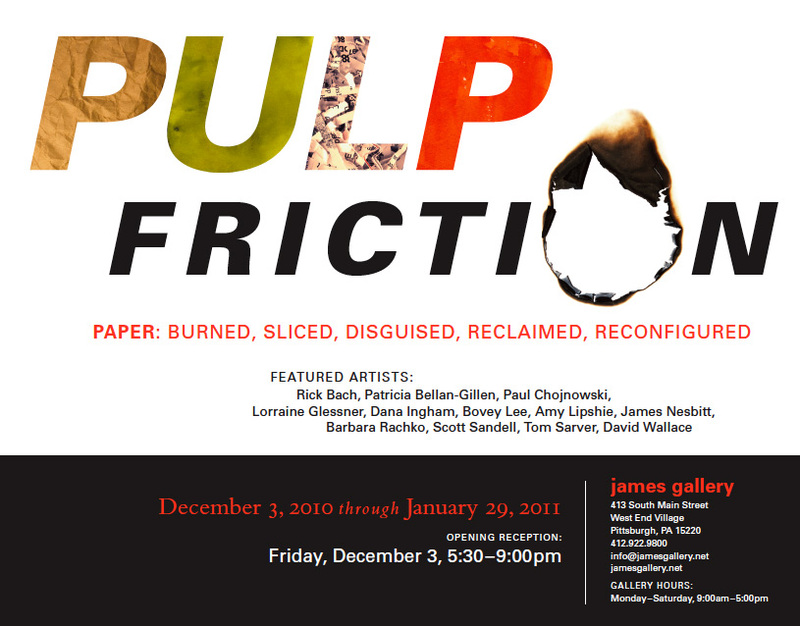 Considering this lineup of artists and the Pulp Friction title, the show will definitely have some interesting surprises. I will be presenting a puppet-themed sculptural installation inspired by time spent “people watching” in both New York City and Downtown Pittsburgh.